Not all Greek to me! She watched the sunset. Then after a supper of cassoulet or roast chicken or fish in one of Mme. Gorotiaga’s buttery sauces, she got into bed with a novel and a hot water bottle. It might be only nine o’clock. She kept a small fire for a while and lay in bed drinking a last glass of wine and read. The past! The past! Do we stride before it, trailing it behind? No. It pushes us inexorably forward, like a glacier, into the present. The minute I saw this book at the store yesterday, I labeled it chick lit in my head. But, it appeals to me because it romance in the airplane. That it’s a sugar-coated Austen type of story makes it even more appealing to me. I’m not usually a fan of this type of book, but it’s too good to pass it, at least I can read it when I’m in LA this weekend. It sounds really enjoyable. After all the great work you did with your review, you what got me. The description of the food! I will have to keep an eye out for this one – I’m just like you, can’t resist anything even slighty connected to Austen! I’m a marketing person’s dream! @ Matt: too bad you’re not flying from NY to LA – that would be serendipitous reading indeed! There is definitely a “dated” vibe to the story – it feels like old-fashioned storytelling, even if there are some modern concerns. I think if you keep that in mind, you’re likely to enjoy it! @ Nicole: I know! Isn’t that description marvelous? It was moments like that that really made the book something special for me. @ Karen: Yes, the love of Austen is a marketer’s dream, because they could be totally off-base (“This Sue Grafton novel is positively Austen-esque”) and I’d still try it just in case! Normally I am let down by the comparison, but this time it was actually pretty apt! This book sounds like a really great light read. 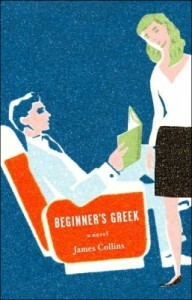 I had not heard much about it, but I really liked your review and am thinking that it might make a perfect summer read. I also like that it is a tad of Austin influences. Great review!